The documentary Hate Crimes in the Heartland is a groundbreaking exploration of the media’s coverage of hate crimes spanning 90 years in Tulsa, Oklahoma. 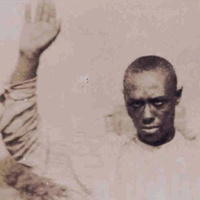 The film reveals the extremes of racial tension in America’s heartland, told through the eyes of survivors of the 1921 Race Riot and the 2012 “Good Friday Murders.” Due to the fact that the events of 1921 were wiped from local and national record, identifying and locating living survivors of the riots was a critical obstacle. Furthermore, covering the ongoing murder trial required thoughtful precision to provide accurate context to the story. Finally, the nature of the 24-hour news cycle creates an urgent need to keep the events in Tulsa fresh in the nation’s media. Education and outreach are critical to raise awareness of ongoing racial inequality and hate crime. At a time when racial tensions in America have never been higher, the tragic events in Tulsa deserve in-depth historical analysis to explain the significance of each moment and clearly illustrate the transformation of racial unrest to violence, of denial to concealment, blocking the path toward resolution and healing. Hate Crimes in the Heartland scrutinizes American society’s racialized context for interpreting facts in the media – one which values white lives more than black lives. Through the personal accounts of survivors, witnesses, journalists, and lawmakers, Hate Crimes in the Heartland enriches the public understanding of the underlying tension in America’s heartland, exposing injustices that occurred and giving a voice to those whose perspectives would otherwise remain unheard. A discussion with Rachel Lyons, filmmaker; Steven W. Hawkins, Executive Director, Amnesty International; Jeff Smith, assistant professor of urban policy at the Milano School of International Affairs, Management, and Urban Policy; Linda Sarsour, National Director Arab American Association; and Michelle Materre, assistant professor, School of Media Studies. The School of Media Studies will also hold an information session about their various degrees and certificate programs at 6:00 p.m. For more information, contact nsadmissions@newschool.edu. Sponsored by the School of Media Studies and the School of Undergraduate Studies at The New School, the Creatively Speaking Film Series, JustFilms of the Ford Foundation, and Amnesty International USA. Admission for the film screening: Free with reservations through Eventbrite. Click on the top right button to make a reservation.